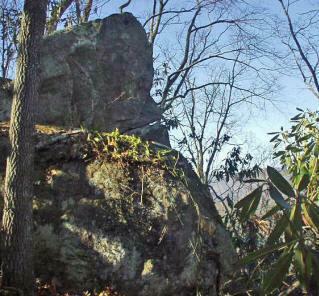 The Boulders at Cedar Top is one of the newest secluded mountain forest communities in Graham County. It borders the Nantahala National Forest and half of Cedar Top with an elevation of 4006 feet and one of the tallest peaks in the county in the Western North Carolina mountains. Located minutes from the Cherohala Skyway, Joyce Kilmer Memorial Forest, Lake Santeetlah, hiking trails and many trout fishing streams., The Boulders would be the perfect year round home or weekend getaway. Elevation of 3,000 to 4006 feet. Purchase the complete 294 acre tract for $9,400 per acre. 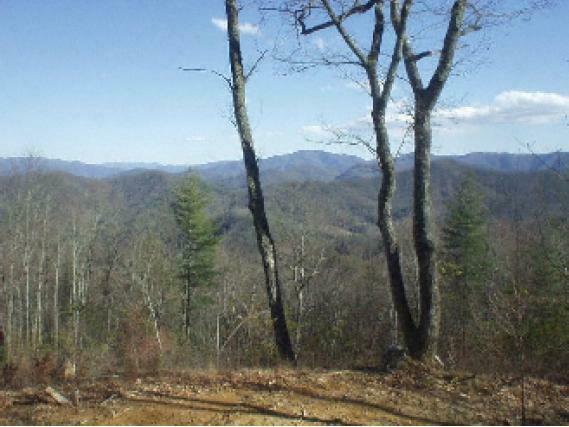 Large acreage tract with superior views in Western North Carolina mountains. Also know locally as Cedar Top, this property is adjacent and contiguous to the Nantahala National Forest, and nearby Joyce Kilmer Memorial Forest, Hwy 129 [known as the "Dragon" for bike riders], Snowbird Lodge, and Lake Santeetlah. Ideal retreat with trout fishing just a few minutes away. Elevations from 2800 to 4000 on this large tract of property. Fabulous views of Tennessee and North Carolina mountains. Distances: Atlanta (3 hrs.) Knoxville (1.5 hrs) Ashville (1.75 hrs). Approximately 12 minutes northwest of Robbinsville, North Carolina. Take SR 129 (the "Draggon") north, left on West Buffalo Creek Road (County 1143) to entrance at May Apple Road.